Ex. Jimmy Hayes Collection, Stacks, October 1985, lot 57, where it was described: “A one-year-only type. Gem Brilliant Uncirculated. Blazing mint frost, exceptional surfaces, and overall appearance. The rarest half dollar type, other than the 1794 and 1796. From Rarcoa’s sale in 1969. 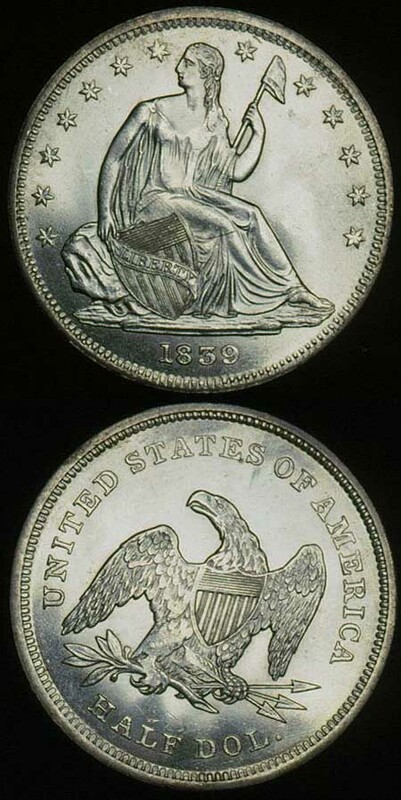 The sale of this coin made the front page of the (then) new Greysheet as an example of collectors paying any amount for a gem type, an astonishing $1,350!” (It brought $19,800 at the Hayes Sale).